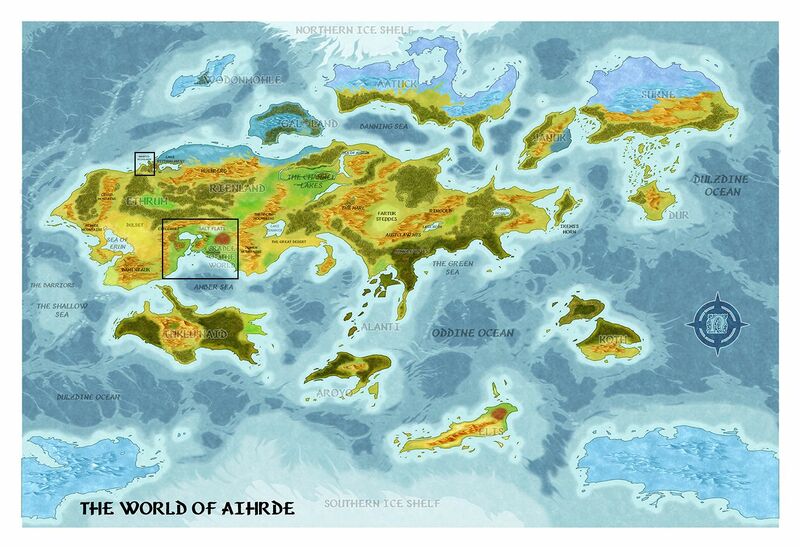 I am working on the Aihrde map, making it in the style of one of the Annuals for CC3. All the Landmasses are complete. I am linking them from my DropBox as the files are to large to see here. Looking good! How far are you planning on going with this map? Like this.... I just wanted another version of it. I am liking this alot. Ok, I think it is done. If you see any mistakes, please let me know. I can fullscreen, but can't zoom - so I can't really comment other than it's looks great from what I can see (my bad eyesight). Ok, I uploaded a Higher res version for you to look at. Looks like this gem is no longer on DropBox. Anyone still have a link for it? I recently picked up CC3+ and some add-ons. Did he ever post the FCW? for it? I'd love to look at how the stuff is done. PM him via the PM button here in the forums. See if he responds.